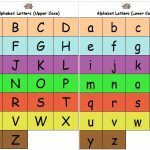 Flashcards to help your children to learn the Alphabet Letters. 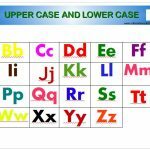 It contains Alphabet Letters from A to Z (Upper Case and Lower Case). 5. Cardboard or empty sereal box. 1. Print each page once. 2. Cut out all pieces along the lines. 3. Cut the cardboard 12 cm x 12 cm (26 cards). 4. Glue the printed flash cards onto the cardboard, one side is for the Upper case letter and the other side is for the Lower case letter. Alphabet Letters Posters from A to Z. 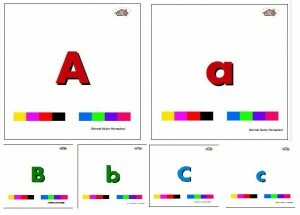 You can print them and it can be displayed on the wall. Alphabet Letters Poster (Upper Case). 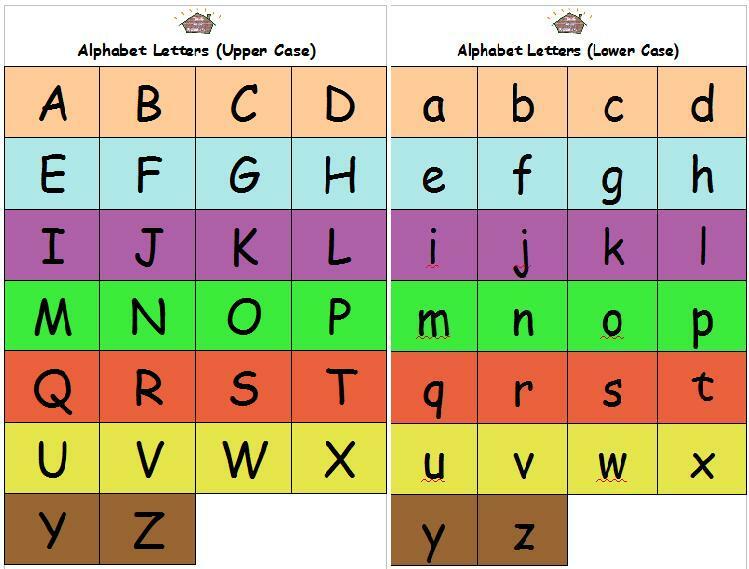 Alphabet Letters Poster (Lower Case). 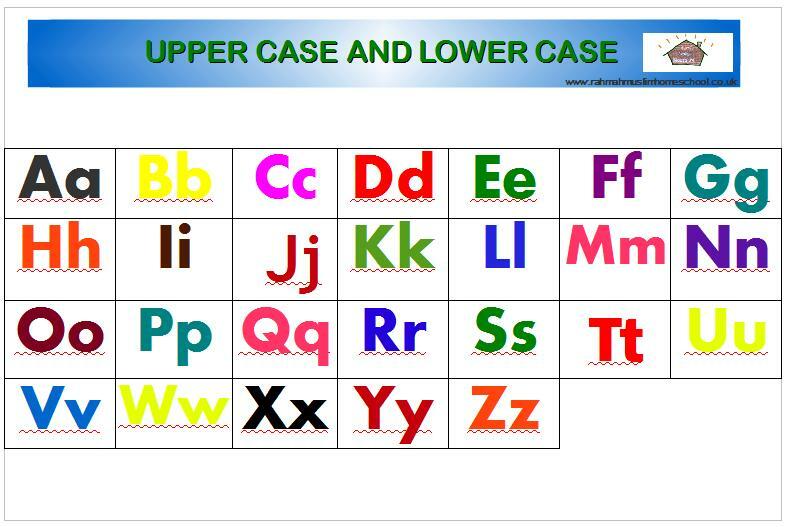 Upper Case and Lower Case Poster Blue. 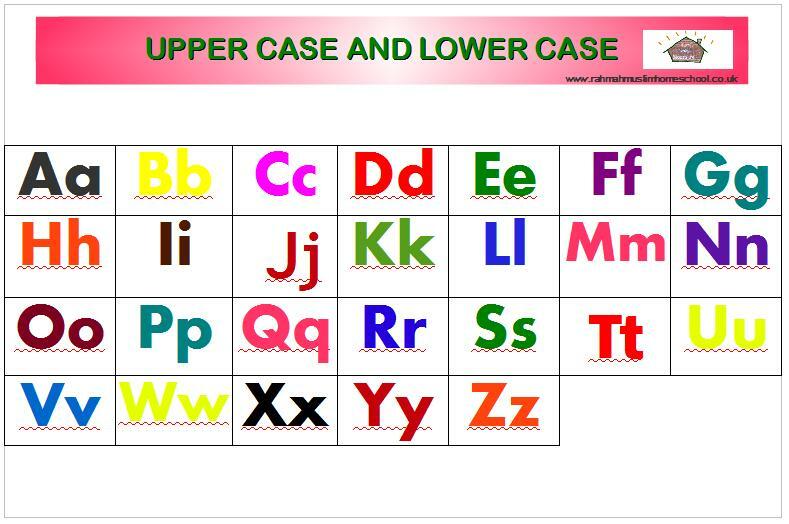 Upper Case and Lower Case Poster Pink. 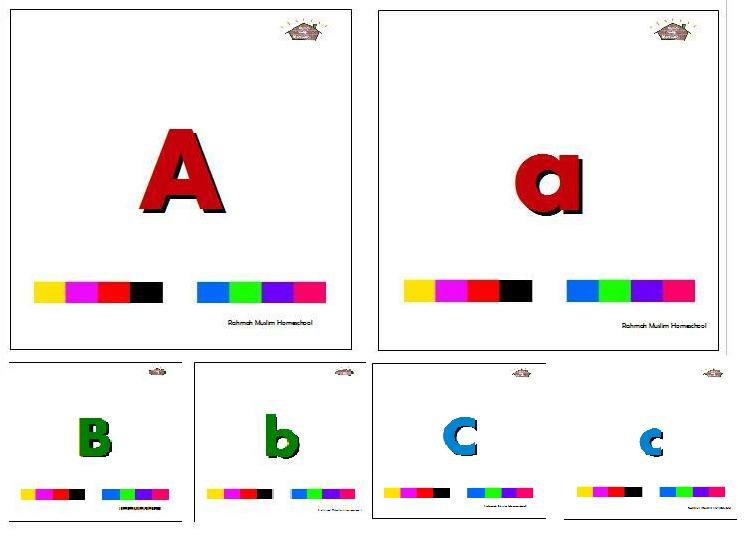 This entry was posted in Flashcards, Posters and tagged alphabet letters, capital, flash cards, flashcards, free, lower case, poster, printable, upper case by Rahmah Muslim Homeschool. Bookmark the permalink.